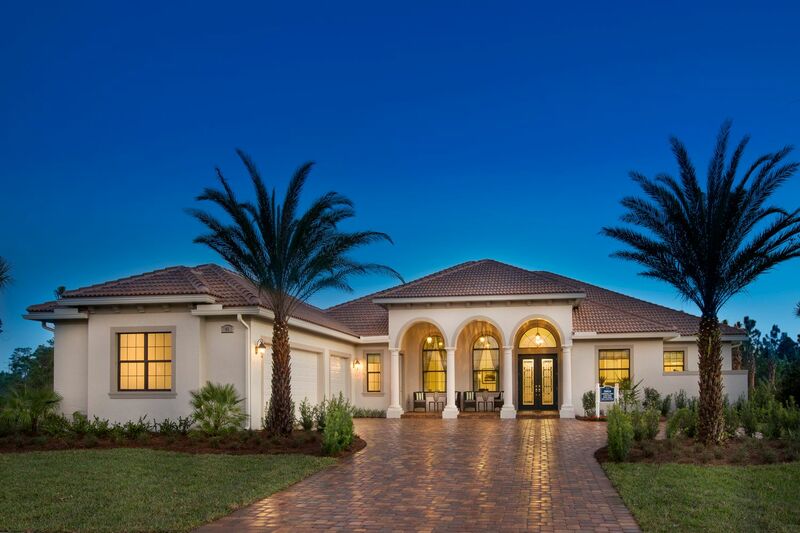 Canopy Creek, the Palm City, Florida community by Kolter Homes is a breathtaking, gated community of just 300 homes situated on nearly 700 acres of preserves and wetlands in Martin County, Florida. Canopy Creek is an eco-friendly community consisting exclusively of fine estate homes, each situated on at least a half acre and featuring views of magnificent protected Florida preserves. Amenities include a Clubhouse with a children's room, kitchen, fitness center, pool, kids playground, tennis courts, basketball courts, nature and equine trails. At last your family can have it all - a stunning new home in Palm City, Florida on a large preserve lot within a private community with easy access to I-95 or the Florida Turnpike. Minutes from the famous Treasure Coast beaches of Florida, the area also offers fabulous shopping and dining in beautiful Stuart, Florida and one of the finest public school systems in Florida. Canopy Creek is your best choice for new homes in Palm City, Florida. The Creek Club, the social centerpiece of the community, features a state-of-the-art fitness center, kid’s playroom, showers and changing facilities, tot-lot, resort-style pool and spa, plus a gathering room and kitchen for events and parties. Located on the Club Campus are basketball and tennis courts for a friendly game with neighbors. With a range of floorplan designs spanning 3-bedroom plus den up to 5-bedroom plus den floorplans, you will surely find the perfect home to fit your lifestyle.